With 2013 marking the year of the unlikely sequel to Stephen King’s phenomenal horror classic The Shining, a book that also spawned one of director Stanley Kubrick’s finest films (though King was famously not happy with the adaptation), it’s an appropriate time look back at King’s best books. The jury will be out on where that surprise sequel, Doctor Sleep, fits until we’ve had time to digest it, and since we’re addressing it here, we’ll leave The Shining out of this particular list as well—although that classic story of caretaker Jack Torrance eventually succumbing to his own personal demons and the evil spirits lurking in the Overlook Hotel may be King’s best. 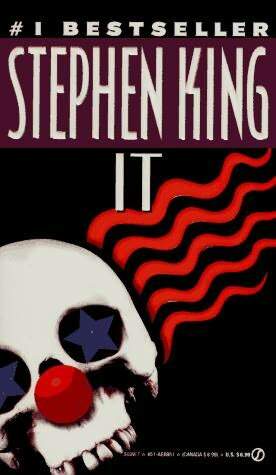 So as you’re gearing up to read about the grown-up Danny in Doctor Sleep, here’s our list of the Top 5 non-Shining related books written by modern horror master Stephen King. Of all the monsters King has conjured throughout his prolific career, few are more frightening than the shapeshifting entity simply referred to as “It.” In this 1986 classic, one that was adapted (as a number of King’s works were) to a TV miniseries, the monster exploits the fears and phobias of the people it stalks. Most often, “It” takes the form of Pennywise the clown in order to lure its favorite prey of children. Through a plethora of vividly horrifying images, King touches upon his favorite topics: the impact of childhood trauma, the power of memory and the dark and sinister underbelly that often lies hidden beneath the idyllic sheen of small-town values. 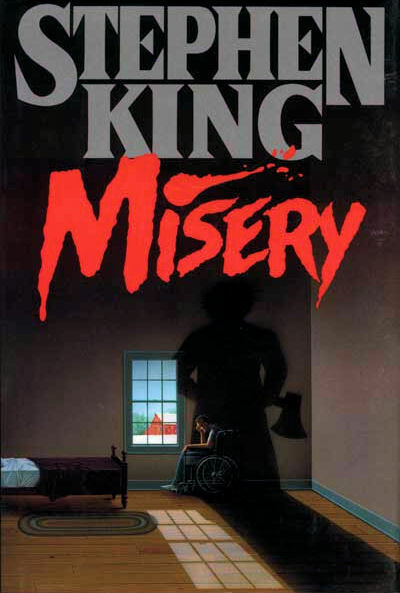 In 1987, the horror master who often focused on the paranormal went the psychological thriller route, and Misery may be one of his most terrifying books. When romance novelist Paul Sheldon suffers a car crash, he’s rescued by Annie Wilkes, a rabid fan of his steamy, Victorian-era stories, and one who’s particularly fond of his character Misery Chastain. Rather than take him to a hospital, Annie attempts to nurse her writing idol back to health at her home, until she learns what he’s done to her beloved Misery in his newest book. Learning this, Annie moves to force Paul to write a new ending by any means necessary. 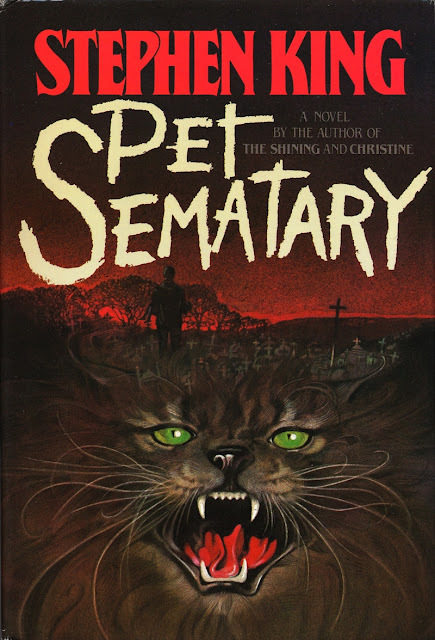 Pet Sematary almost didn’t see the light of day. King shelved the book, feeling that he’d gone too far in the subject matter, but he eventually unearthed it when he needed another book to fulfill his contract. In this grisly tale, a Chicago doctor moves his young family to Maine. There, he befriends a father-figure neighbor who, when the family cat is hit by a passing truck, instructs him to bury the dead animal in a nearby ancient Native burial ground. The cat resurrects, but is changed somehow. All hell breaks lose when the doctor’s toddler son is also killed, buried, and returned to life in altered form. King’s first published novel is also one of his best. It features the eponymous high-schooler exacting revenge on bullies with her newly discovered telekinetic powers. King has described this work as particularly “raw,” and it’s one of the more frequently banned books in American schools. 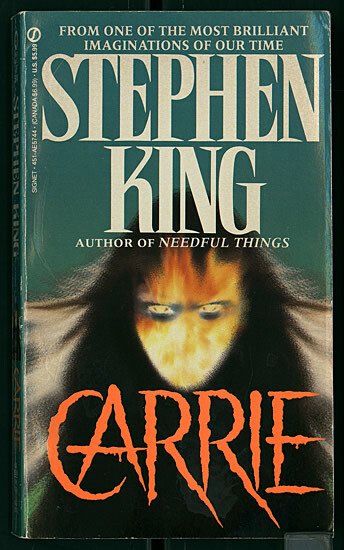 Unlike most his other books, King wrote Carrie in an epistolary story structure, using purported magazine articles, letters, book excerpts, and newspaper clippings to tell the story. The book has been adapted to film several times, with the most iconic being the 1976 Brian De Palma feature film of the same name that earned Sissy Spacek an Oscar nomination. Not all of King’s books are horror. 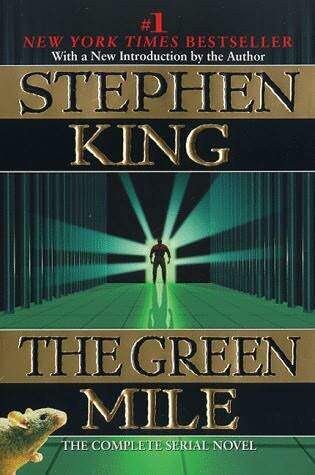 King’s 1996 serial novel, The Green Mile showcases his ability to write magical realism. The story centers around a death row supervisor’s encounter with John Coffey, an inmate convicted of murdering two young girls who also possesses seemingly supernatural empathetic and healing abilities. The serial novel was originally released in six volumes, each of roughly 100 pages in length. Since then it’s been made available in a single volume, and it was adapted into a 1999 film of the same name that was directed by Frank Darabont and received four Oscar nominations.